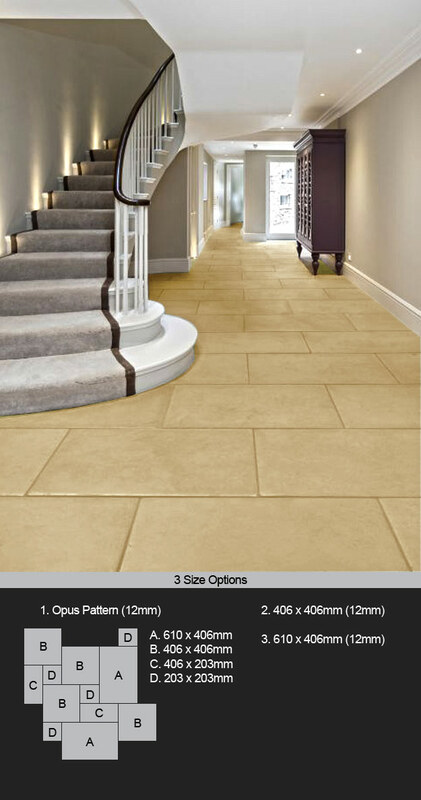 The Antique Old English Cream limestone flooring is classically English in style and colour. These limestone flooring tiles have an even creamy colour with soft distressed edges all giving a smart classical English looking floor. This limestone floor can be laid in set sizes as well as a small random flagstone pattern. * Classically English limestone look. * Distressed & antique stone finish. * Well manufactured stone floor.